Lindsay represents both employees and employers, including, local governments, small businesses, and corporations in a variety of employment and labor related matters. Lindsay has extensive experience in litigating employment law claims, including those involving race, gender, religion, retaliation, disability, age, and other claims based on unlawful discrimination, Fair Labor Standards Act, Family and Medical Leave Act, and Private and Public Sector Whistle Blower claims. 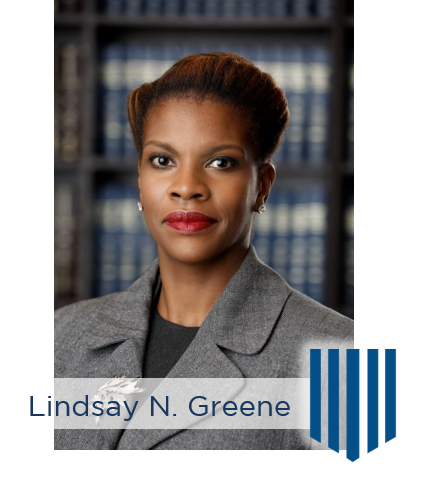 Lindsay has represented employers in traditional labor law matters to include: defending grievances, collective bargaining negotiations, and proceedings before the Florida Public Employees Relations Commission (PERC). Lindsay also takes pride in counseling clients to act proactively, thus limiting unnecessary litigation. Lindsay partners with employers to prepare work policies and present on-site seminars in an array of areas, including, but not limited to, sexual harassment and diversity. Lindsay also conducts internal investigations in response to internal complaints of discrimination and compliance audits.